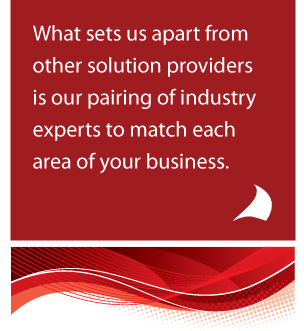 What sets us apart from other solution providers is our pairing of industry experts to match each area of your business. Our consultants provide best practices that go beyond the use of the software. Full Sail Partners provides top-notch solution consultants with direct hands-on industry experience. Our consultanting experts are called upon to share their knowledge at conferences, user groups, and industry organizational events. In order to accomplish this level of expertise, it requires a diverse background of team members. Each professional is hand-picked for their extensive experience and industry knowledge. Our team members past experience includes executives, CPAs, controllers, marketers, business developers, project managers, and IT professionals. This pairing ensures superior services and actionable business metrics.